The iTunes app store is now offering the new version of WordPress for iPhone and iPad which has some much awaited and cool new features. The new 2.6 version also fixes some previous bugs and enhances performance. Now any web or mobile activity, whether it’s blogging or social media, is incomplete without video support in today’s world and WordPress has realised that. 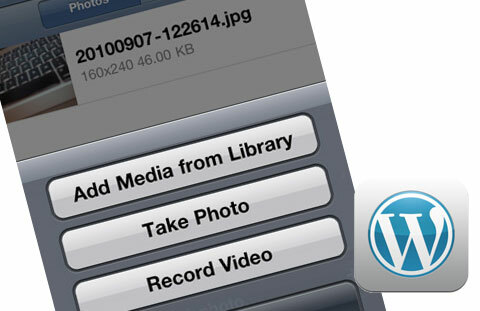 WordPress 2.6 now has complete video support for your iOS devices which means that you can record, upload, attach and play videos within the application, on the move. There is also a new auto saving feature which will prevent losing your post if something goes wrong or the system crashes. Adding new sites to the applications is also much simpler and so is media management. The application can now easily be compared to its web version as its utility is as good. The app is free and is specifically designed for the iPhone and iPad but is compatible with iPod Touch and requires iOS 3.1.2 or later to work. You can download the app here .